If you’re like us and have lots of empty wall space in your office you need to check out this list. We have collected a list of posters that focus on interesting information rather than nice-looking sunsets. And of course all are computer and network related. We will definitely be ordering or printing some of these ourselves to add to the create spirit here at the office. 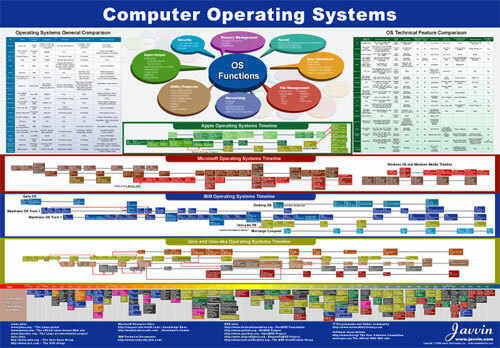 Computer OS functionality and evolution, including UNIX and UNIX-like OSs and also Microsoft from DOS to Vista. Poster for O’Reilly’s Open Source Software Convention in 2001, so it’s a bit dated, but still full of information. 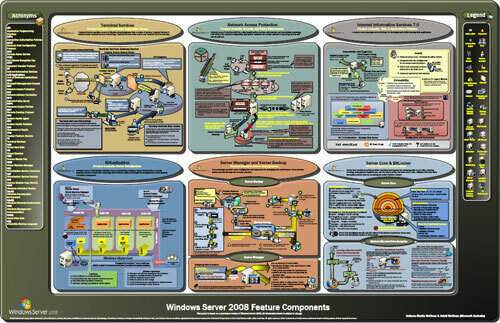 Two Windows 2008 posters showing core functionality and Active Directory components. 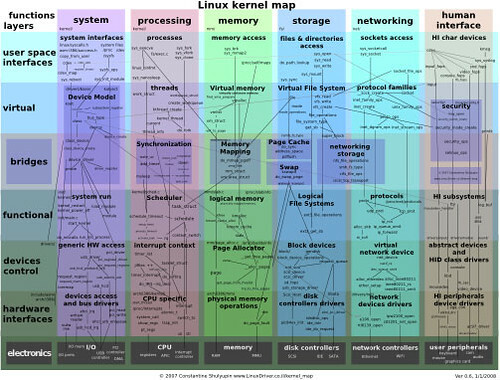 A map of all functions and layers inside the Linux kernel. 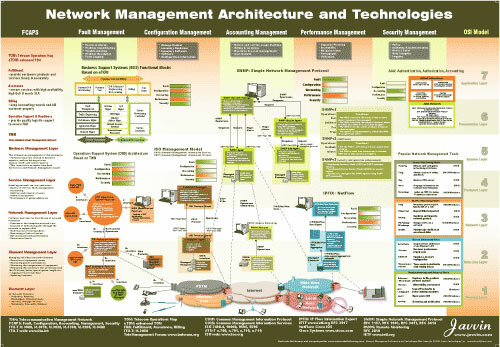 Everything there is to know about network management in one poster. 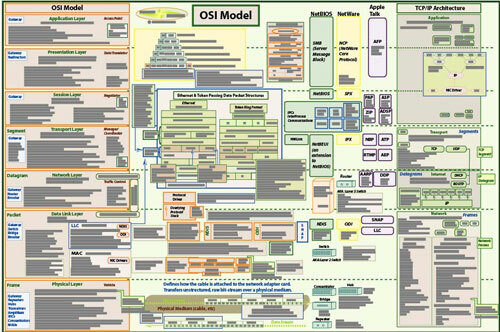 The poster shows the OSI model including details about each layer. 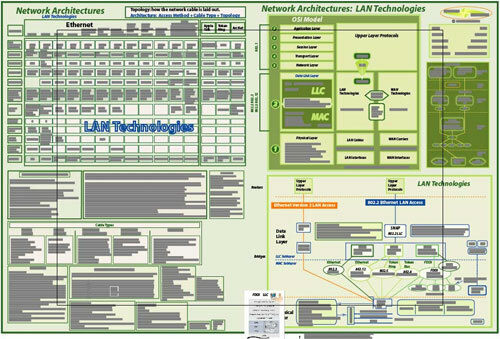 The poster shows all Ethernet implementations illustrated with their IEE 802 specifications. 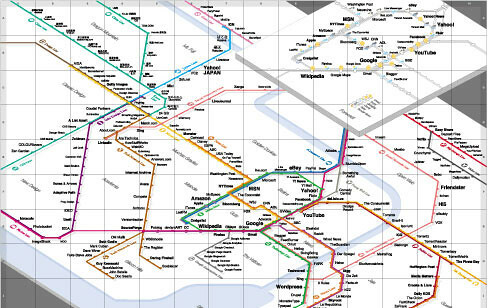 Poster showing international routes and transmission capacity in 2000. 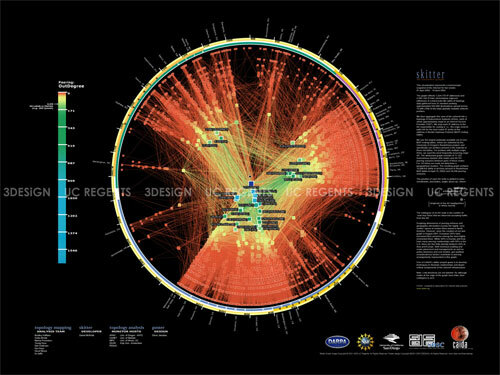 Visual “Skitter graph” of Internet connectivity generated from real data. 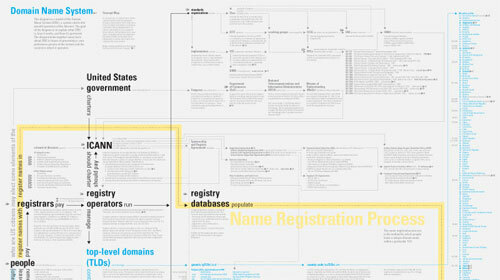 Diagram explaining how DNS and domain names work and how it’s governed. 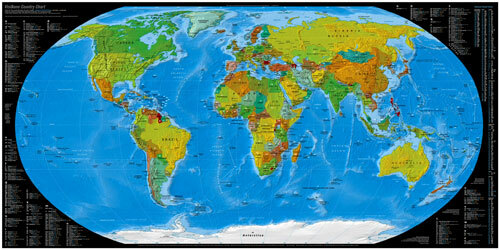 Globe with all ccTLDs and phone country codes. 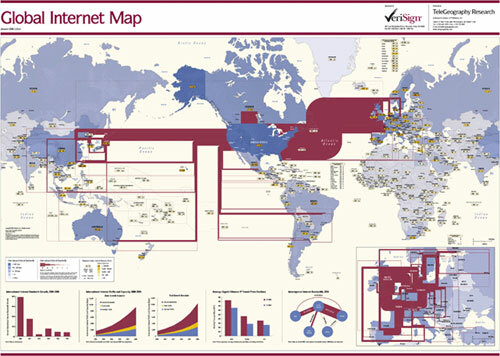 Global map showing the Internet’s infrastructure. Creative poster showing the top Internet brands in 2008. 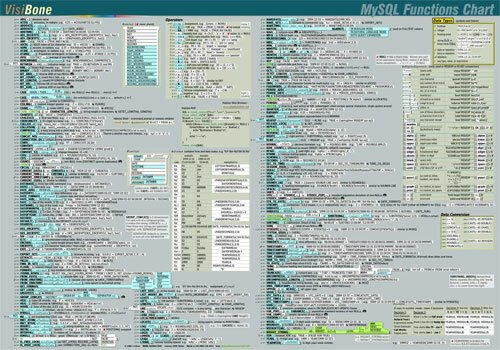 Set of two posters with MySQL statements and functions. 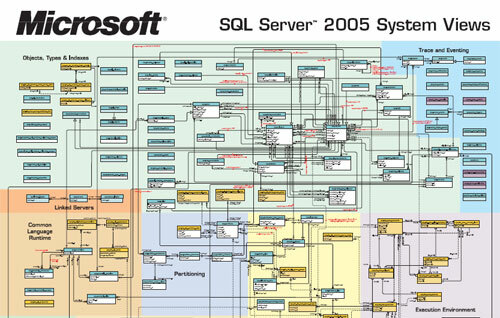 Poster with system views in Microsoft MS SQL server 2005. 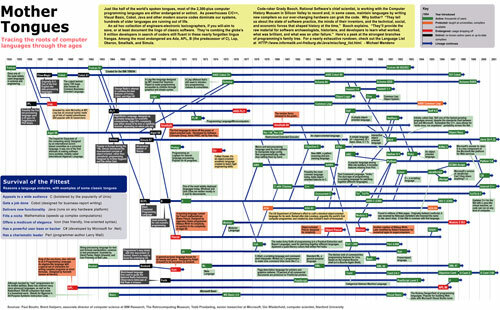 A timeline plotting the evolution of over 50 programming languages. 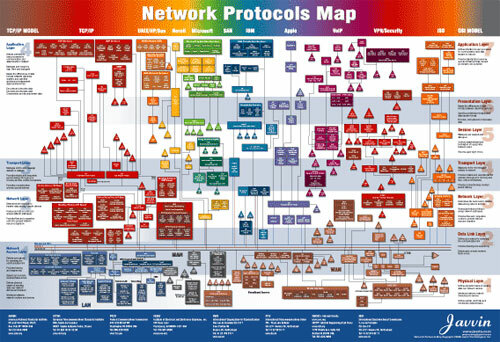 Shows relations and branches of computer programming languages. 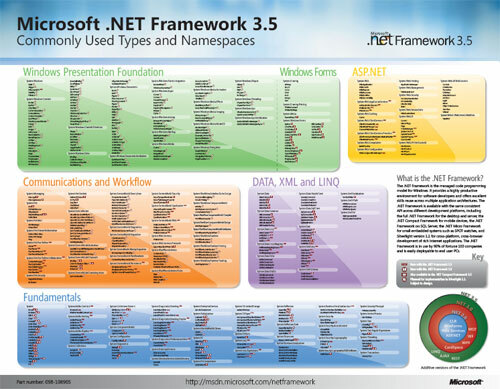 Commonly used types and namespaces in Microsoft .NET Framework 3.5. Hopefully you found some nice posters for your walls. Our guess is that there are lots of other great posters out there in addition to these, so if you’ve seen any good ones let us know in the comments! Very immense. Some of those are really cool. Shame some of them don’t give you a more detailed view. I might have purchased a couple of them, if I could see some detail. Your “Country codes” map has the wrong URL. You put in the same URL as the “Domain Name System.” Otherwise, nice list. If you develop or are interested in developing in AS / Flex, you can get the posters in PDF format for free and have them printed if you like.. good stuff! (Otherwise for the high-quality prints I think you have to purchase Flex Builder 3). My company has a large size Murphy’s Law Poster in the conference room. So all these people put down so much work to MAKE a great OS for FREE, from scratch, and i have to pay for some idiot who made a poster describing it? Lol, as bad as it sounds, being an IT major, I’d actually seriously consider buying some of these! 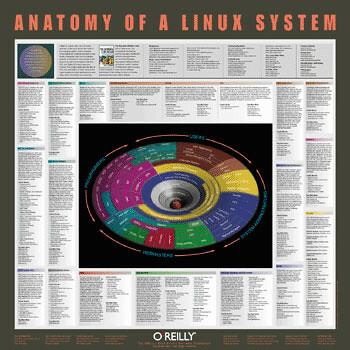 I especially dig the linux kernel map there. Thank you, my wall is happy now! Nice list, a few of these will go on my new shop walls. Thanks!